Greetings, PC Gamers! Now that the holidays are over, if you’re like us, you likely have some new gear at home, just waiting for the right games to come along. Luckily, 2019 has you covered! With all the releases planned over the year, the next twelve months will prove to be a very busy time for not only all gamers, but PC gamers in particular. While exciting releases are already on the books over the entire year, January is setting the pace with several exciting titles hitting storefronts during the month. I’ll go over them, next. Tales of Vesperia is a Japanese role-playing game (RPG), developed by Bandai Namco Studios, whose release marks the ten-year anniversary of the original game on the Xbox 360. 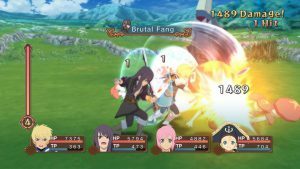 This story-rich fantasy RPG features the “Linear Motion Battle System”, playing similarly to a fighting game, gives Vesperia a unique style of play. The Definitive Edition brings with it fully remastered high-definition graphics and assets. Tales of Vesperia is available on PC through popular storefronts beginning at $49.99. 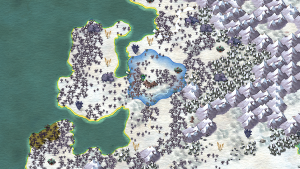 Jon Shafer’s At the Gates is a 4X (eXplore, eXpand, eXploit, eXterminate) turn-based strategy game from the lead designer of Civilization 5. At the Gates is set in medieval Europe during the Dark Ages, just after the fall of the Roman Empire. You, a lord, are tasked with leading your people in the hostile environment. Featuring a serene watercolor art style, and a number of novel gameplay innovations such as dynamic maps, At the Gates promises to be a must-have for strategy buffs. At the Gates will be available on Steam January 23rd. Price TBD as of this writing. Developed by Tindalos Interactive and published by Focus Home Interactive, Armada 2 is a fleet-combat real-time strategy (RTS) game, and is the second game in the series. Set in the rich science-fiction fantasy universe of Warhammer: 40K, Armada 2 puts you in command of fleets from twelve different factions from the Warhammer tabletop games. Each faction features its own unique characteristics and play style. As commander, you’ll command your fleet as it engages the enemy, all the while managing the different abilities and needs of your ships in battle. Not only must you consider the enemy, but if your crews find your leadership undesirable, they will attempt mutiny and try to escape! A campaign featuring 4X elements and rich multiplayer options should give Armada 2 plenty of thrust when it releases on popular storefronts January 24th for $39.99. One of the defining games of the survival-horror genre returns January 25th in a stunning high-definition remake. Rebuilt from the ground up, Resident Evil 2 runs on a completely modern engine capable of 4K resolutions and HDR color. This is the second game in the Resident Evil series to receive a modern update after 2015’s critically-acclaimed Resident Evil HD Remaster. 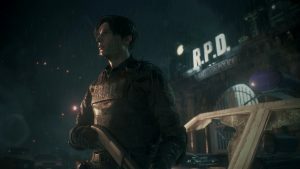 Unlike the 2015 effort, however, Resident Evil 2 ups the ante as it is a full remake instead of a remaster of existing assets. If you have a new RTX 2080 or 2080 Ti looking for a workout, look no further. Developed and published by Capcom, Resident Evil 2 will be available on Steam January 25th for $59.99. A demo including 30 minutes of playtime is available as of the time of writing for no charge on Steam. As you can see, January already sets a blistering pace for game releases on the PC. There’s only more to come in 2019, with February already set to show January how it’s done! Stay tuned, and be sure to catch us next month to learn about all of February’s new releases. 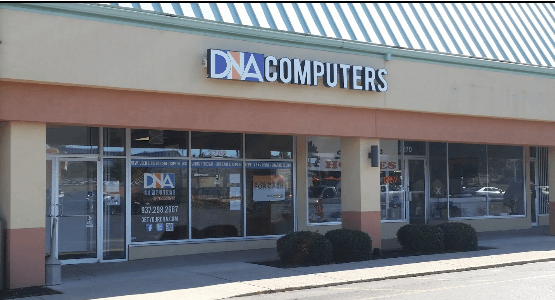 Just remember your home for all things PC-gaming related, DNA Computers, your friendly neighborhood computer store.